Find out the latest news and posts about Alfiz Hotel Boutique, including recent comments, events, media articles, happenings and hot deals! Thinking in our guests that are interested in literature and culture we started for many years ago to have some books in the hotel. 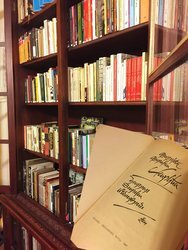 After more and more questions and requests of those fans that would like to go on the footsteps of "Gabo" (nickname for writer Gabriel García Márquez) we increased the amount of books becoming one of the largest collection of his works in Cartagena. Today we have his books in the library of Alfiz Hotel available for our guests in different languages, and with this new contribution of "One hundred years of solitude" in Armenian we got to count the works of the colombian Nobel prize winner in 23 different languages! Under the arcade, Florentino, rejected by Fermina and tormented within, found a way to redeploy the surplus love that he could not use: “he offered it to unlettered lovers free of charge, writing their love missives for them in the Arcade of Scribes.” On one occasion, he realized that he was writing letters for both parties in a budding courtship, his words slowly coaxing them together. Alfiz Hotel has got the extraordinary recognition of Tripadvisor as we have been elected to be part of the Hall of Fame for 5 consecutive years getting the Certificate of Excellence of the world's largest travel community. 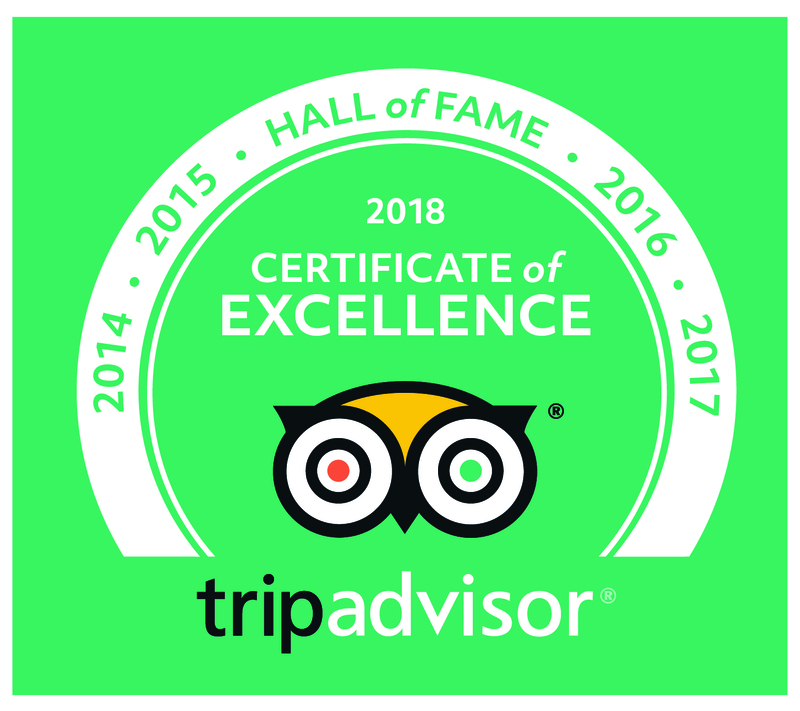 Being awarded the TripAdvisor Certificate of Excellence five years in a row and inducted into the 'Hall of Fame' is a true source of pride for the entire Alfiz Hotel team and we'd like to thank all of our past guests. There is no greater seal of approval than being recognized by our guests. With the TripAdvisor Certificate of Excellence based on customer reviews, the accolade is a remarkable vote of confidence to our business and our continued commitment to serve our guests. 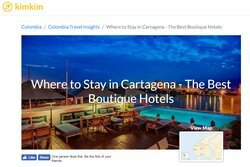 Travel Site - The Culture Trip - has selected the 8 Best Boutique Hotels in Cartagena and Alfiz is one of them! 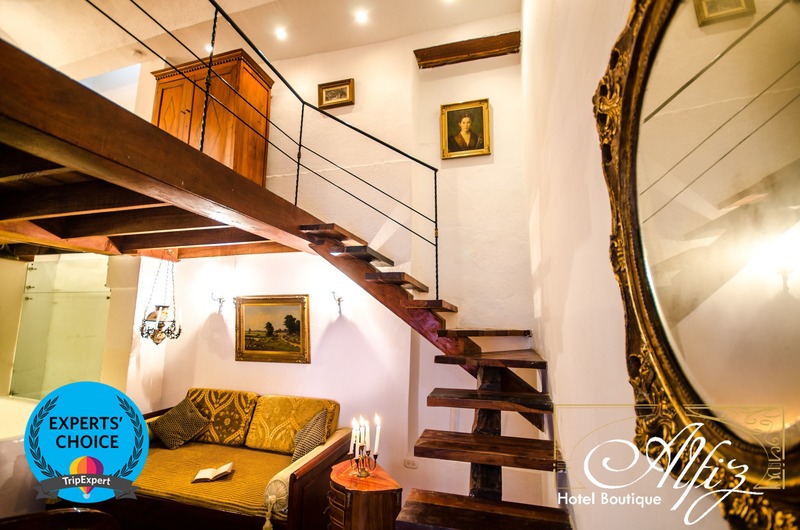 They write about the special ambience in our rooms that "tell the story of Cartagena’s fascinating history" considering our hotel as a luxury option without the hefty price tag. Kimkim recommended the Alfiz Hotel in their article “Where to Stay in Cartagena - The Best Boutique Hotels” The article praised the Alfiz Hotel's “luxurious rooms and fascinating history, highlighting the thematic rooms: " each room (some are split-level suites) features a different historical leitmotif and is dressed accordingly, from the religious simplicity of “San Pedro Claver” to the nautical themed “Piratas”. Kimkim supports local travel agencies, hotels, and restaurants by curating custom itineraries for tourists. Alfiz Hotel is among the winners of the 2018 Experts' Choice Award from TripExpert. The award is based on over 1 million reviews from 85 publications and recognizes the best hotels around the world. Unlike other awards, Experts' Choice is unique in that it takes into account only expert reviews from travel guides, magazines, newspapers and other respected sources. 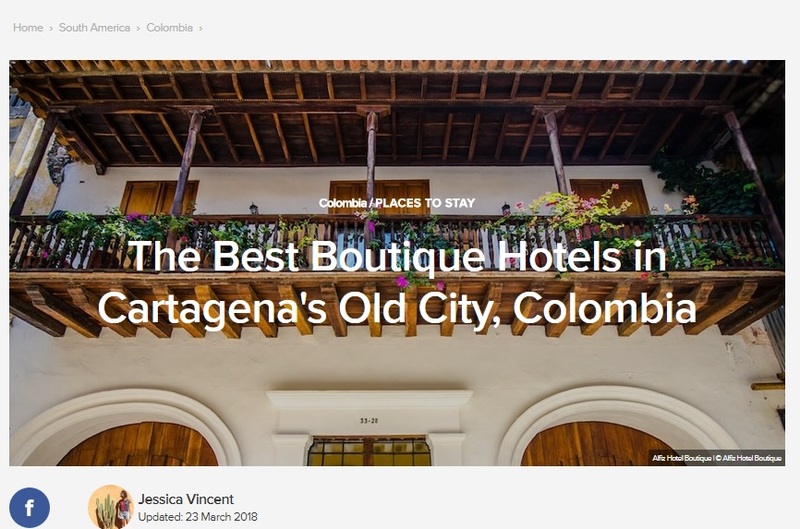 With endorsements from sources including Oyster, Star Service and Fodor's, Alfiz Hotel is featured on TripExpert.com as one of the best hotels in Cartagena. 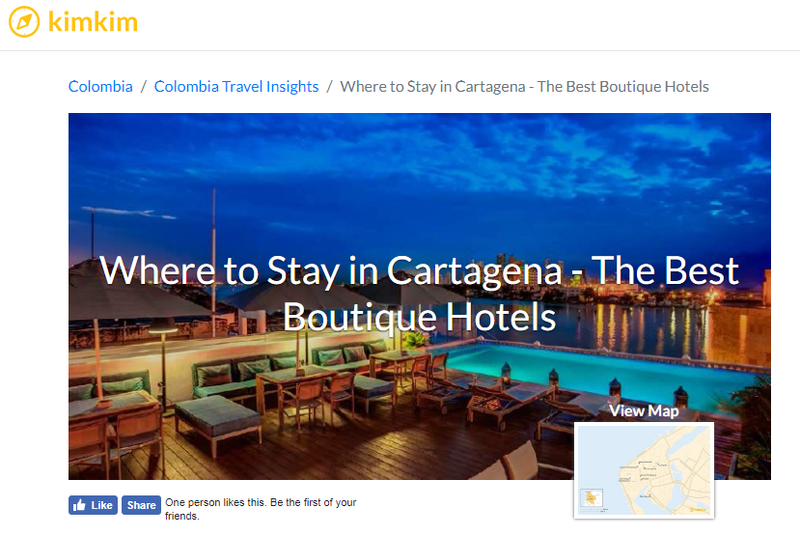 Alfiz Hotel has also received TripExpert's Best of Cartagena award. 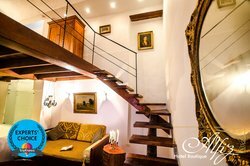 Reviewers agree that it is an outstanding choice for accommodation in Cartagena. Based in New York City, TripExpert aggregates professional reviews of hotels, restaurants and things to do. On TripExpert.com, travelers can read over 1M reviews from leading travel media. TripExpert provides an alternative to crowdsourced review sites. 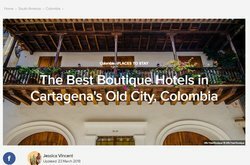 This blog post was written by our friend Steve Dillon, roaming Scotsman and Co-Founder of Other Way Round, a culturally immersive travel group which brings together small groups of like-minded travelers and shares with them an off the beaten track, adventurous, insider experience of traveling through Colombia. Steve started Other Way Round with his Colombian wife Marcela and their mission is to help show the world the Real and Authentic Colombia while also using their tour group to help drive positive change in Colombia. On of my favourite things about living in Colombia is the sheer diversity of the place. How that only a short flight away you can be in another city which is so very different from the last that it feels almost like being in another country. In Colombia my wife Marcela and I base ourselves in her home city of Medellin, but whenever we’re in need of some downtime our go-to option is usually to head to Cartagena for a weekend of sunshine, sea and relaxation. It’s only a 1 hour flight for us from Medellin but even if you’re coming from North America the flight is still reasonably short making it an ideal destination for a weekend getaway. In this post we share with you our suggested itinerary for spending a weekend in Cartagena based on the things that we personally love to do. Arrive into Cartagena, the earlier the better. You have a few options of where to stay with the best areas being the charming Old Town, the trendy Getsemani or the beachside location of BocaGrande. 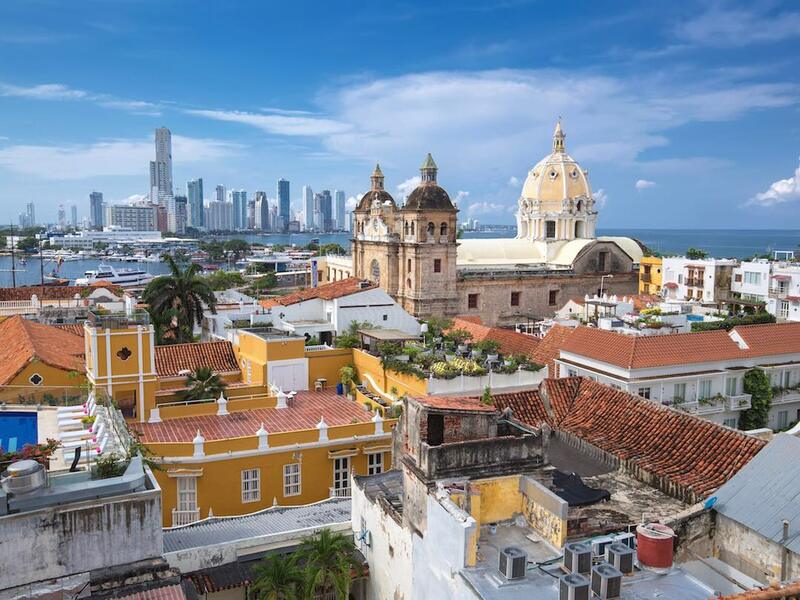 Cartagena is all about the stunning colonial architecture and so we highly recommend that you stay in one of the many quaint boutique hotels, like Hotel Alfiz, to really capture the essence of the city. And make sure your hotel has a pool because Cartagena gets HOT! After you’ve settled in the first thing to do is simply go for a wander around the majestic Old Town. Marvel at the stylish colonial buildings, engage with the energetic street vendors and take in the splash of color all around. A great way to explore the Old Town is to take a walking tour as the city feels all that more special when you hear the intriguing backstory of how it has evolved through the years. Afterwards, we say head back to your hotel, spend some time chilling by the pool and indulge in some of those rather flamboyant Caribbean cocktails. In the evening before dinner make sure you head out early, before 6pm, to catch the sunset over the Caribbean sea. Head for the city walls, you’ll find a walkway on top, and take a leisurely stroll along the perimeter while watching one of the most delightful sunsets you can imagine. For dinner the Old Town has an awesome selection of restaurants serving of top-notch food, and if you want to try something completely different then go check out Restaurant Interno which is an admirable social project located within the local prison where some rather extravagant food is freshly prepared and served to customers by the prison inmates. Today head to the beach. The best way to enjoy the sea in Cartagena is not actually on mainland coast of BocaGrande rather by heading out by boat to the nearby Rosario Islands which are awash with pristine blue ocean and golden sandy shores. Head to the Cartagena dock first thing in the morning, catch a boat (better to book in advance) and spend your day exploring the islands, snorkeling in their crystal clear seas and soaking up the pleasant weather. Later, when you get back to Cartagena, spend your evening really throwing yourself head first into that Colombian culture by taking a dance lesson. Get in touch with Ciudad Movil and arrange either a Champeta or Salsa lesson depending on your preference. Then when you’re done, take advantage of being in the Getsemani area by wandering to Plaza Trinidad to savor some of the delicious local street food and to partake in a bit of people watching. Afterwards, hit-up some of the many nearby hot and sweaty salsa bars and make sure to try out your new found dance moves. For your final day in Cartagena we suggest getting out of the city and visiting some of the many super interesting places nearby. You could go visit Bazurto Market where you’ll get the in-your-face experience of real-life Cartagena beyond those glamorous city walls. This bustling food market has every produce imaginable and it’s where you’ll find the locals going about their daily life. It’s a real an eye-opener and an extremely sharp contrast from the luxurious Old Town. Or go check out San Basilico de Palenque or “Palenque Village” home to the local Afro-Colombian community known as Palenquero (you probably known them best for the Palenqueras - the colourfully dressed ladies who impressively roam the cobbled streets of Cartagena with large fruit bowls on their head). This UNESCO world heritage site was founded by escaped African slaves in the 17th century and is considered to be the first free town in the Americas. It’s a fascinating insight into an extremely culturally rich community who have firmly kept hold of their African roots by maintaining their own language, cuisine, music, dance and a whole lot more. Alternatively, if you want to try something completely different, then make the trip to El Totumo Mud Volcano and treat yourself to one of its world-renowned ‘healing’ mud baths. For your last evening in Cartagena we recommend going out in style be heading over to El Arsenal: The Rum Box to sample some of the best rum in the Caribbean. Their rum tasting sessions are a perfect way to round off a memorable weekend in Cartagena, and depending on how quick you drink up, you may just be lucky enough to catch one final sunset before saying your goodbyes to the enchanting Cartagena. If you’re planning on a trip to Cartagena but would rather share your experience with a group of fun, adventurous 20, 30 and 40 something travelers then a great option could be to join an Other Way Round trip. Our 1 week itinerary includes 3 days in Cartagena, 2 days in the nearby Parque Nacional Tayrona and a final 2 days in Bogota. We carefully design each of our trips so that our visitors get to experience real-life Colombia, away from the typical tourist zones, and learn more about the country authentically through interacting with its people.